Mountain High - I heart Tubing! Looking for fun in the snow but your kids aren’t up to skiing and snowboarding? Spend the day at the North Pole Tubing Park. 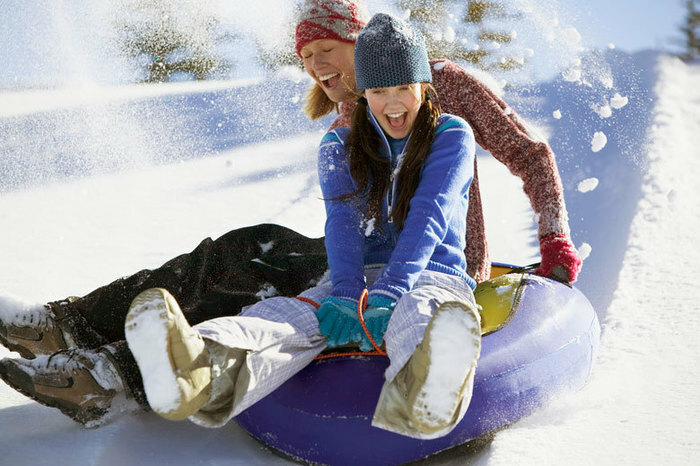 Located at Mountain High’s North Resort, the North Pole Tubing Park is the largest snow tubing facility in Southern California with up to ten lanes, two moving carpets and custom tubes. Traditional Operating Hours are 9:00am to 5:00pm Saturdays, Sundays, and holidays through mid March. DirectionsThe North Pole Tubing Park is located at the North Resort, which is directly across Hwy 2 from West. Make a right at the entrance road off Hwy 2 and continue one mile up the road. For general directions to Mountain High, please click here.